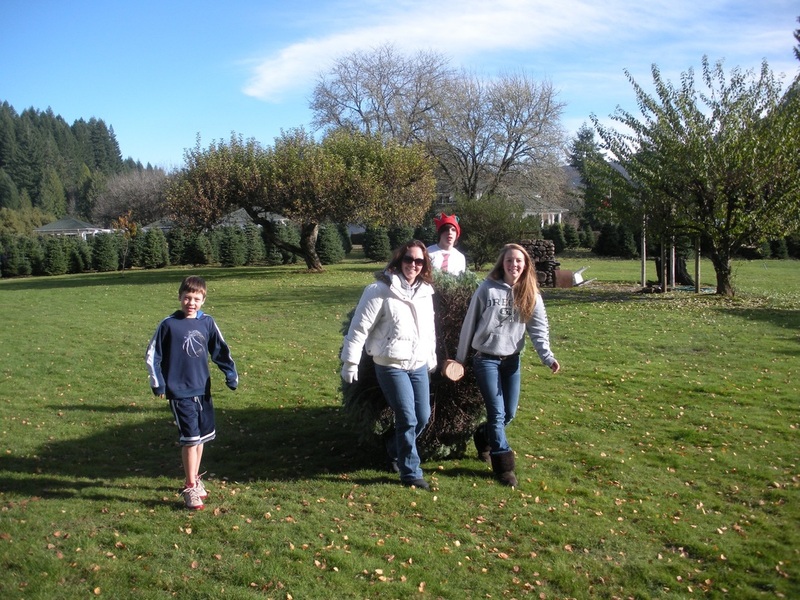 Purchase your Christmas tree at Spring Creek Holly Farm and 50% of the proceeds will be donated to the Lane County school of your choice. All trees are $7/ft. This program is open to everyone and there are no limits. Your Lane County school does not need to do anything; just buy a tree and tell us the school of your choice, and we will do the rest. Friends, family co-workers etc. can purchase a tree for your school. There are no limits on the number of trees purchased. All Lane County elementary and high schools qualify. After the holiday season Spring Creek Holly Farm will mail a donation check to your school. We are proud to support our local schools with this program. Our Noble Firs trees are grown at Spring Creek Holly Farm and at our wholesale facility, Whitewater Ranch, using low impact and sustainable farming practices. We have pre-cut and "choose and cut" trees available. Started in 2010, the Spring Creek Holly Farm Give Back To Schools program has donated thousands of much needed dollars to Lane County. The unique feature of this program is that the members of the community drive the donation amounts. The more the community participates, the more the schools benefit. Start a new holiday tradition - come out and choose a tree, enjoy a cup of hot apple cider and support your favorite school. Our holiday hours begin the day after Thanksgiving through December 23rd. We are open from 9am-5pm every day of the week. Below is the download link for a Give Back To Schools Flyer.